Last Leaf | Kirshbaum Associates Inc. They are widely recognised as the most exciting young string quartet of the present moment, bringing new insights to contemporary composition and core classical repertoire. In parallel, they have also made surprising and impressive forays into the world of Nordic folk music. Their 2014 album Wood Works (Dacapo Records) was a left-field hit, and audiences around the world have been delighted by concert performances of the music. 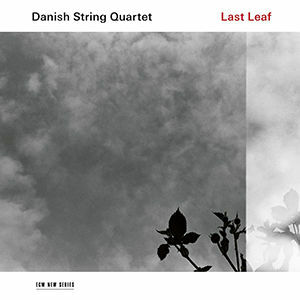 Now the Danish String Quartet bring their folk project to ECM with a stirring new recording. Last Leaf took its initial inspiration from an unusual Christmas hymn, “Now found is the fairest of roses”, published in 1732 by Danish theologian and poet H.A. Brorson. The hymn is set to a mysterious, dark melody: Brorson had chosen an old Lutheran funeral choral to accompany his Christmas hymn, elegantly showing how life and death are always connected.